If you think that we are years off before robots will play a major role in recruiting, rethink that notion. Despite all the recent coverage on the broad future potential of chatbots in recruiting, you might not be aware of the fact that “chatbots” (automated conversation agents) have been successfully used for over a decade in one narrow area of recruiting. That area is answering potential applicant questions on career pages. The most successful example of that Q&A capability is the U.S. Army’s automated Sgt. Star, who literally “does the work of 55 human recruiters” and has answered over 11 million questions. But despite the track record and powerful capabilities, Q&A chatbots have until now been extremely rare in the corporate world of recruiting. And that’s a huge mistake because they can make an important contribution by instantly, accurately, and inexpensively providing personalized job-related answers to those considering applying for a job. In fact, research reveals that 73 percent of potential applicants want to “ask specific questions about the position” (i.e. Potentialpark). But in most cases under the existing process, they are blocked from the opportunity to ask and get answers to their job-related questions. The attention span of even the most active job seeker is rather short. So what do you think happens when a potential applicant can’t get an immediate answer to an important question about the job and the company? Well, in most cases, that impatient potential applicant abandons that job and they will likely move on to another firm. And for individuals who are not actively seeking a job (that have even more questions) they will be less tolerant and drop off even earlier if they don’t get the answers they expect. If you don’t want to lose those potential applicants who are especially valuable (because they have shown a direct interest in your firm), you need to consider a Q&A chatbot. And fortunately because of recent advances in technology and widespread use on the business side, these chatbots are more effective than ever. A higher volume of completed applications — immediate answers hold onto potential applicants longer because they provide instant answers that keep potential applicants interested. And as a result, there will be an increased number that actually complete the application. A higher quality of applicant — the most qualified candidates (those that have multiple job choices) will need more questions answered before they are willing to apply. So by fully answering their questions, a Q&A chatbot will cause more of these “in-demand” potential candidates to actually apply. And as the percentage of in-demand applicants increases, so will the firm’s overall quality of applicant. With more high-quality applicants to choose from, your firm’s quality of hire will also likely increase. Improved candidate experience — you shouldn’t frustrate potential applicants at any time … but especially at the very beginning of their candidate experience when they visit your site for the first time. Not being able to get answers to their questions quickly will not only likely drive them way, but it will also likely cause them to tell their friends not to bother with applying at your firm. Accurate and complete answers speed up decision-making — the answers provided to the potential applicants by chatbots are generally quite accurate and complete. This high rate of accuracy may reduce the need for follow-up questions. And without any additional questions, this would speed up an applicant decision-making about whether they want to apply. A high accuracy rate is possible because recruiting questions generally cover a very narrow range and most questions are easily predictable. As a result, you don’t need advanced AI technology to produce satisfactory answers about your jobs and the company. Customized answers have a higher impact — as a result of artificial intelligence, question-answering processes, and machine learning, the answers provided are to some extent personalized and customized to the individual. Because of that personalization, the answers are likely to meet all of the potential applicant’s expectations and therefore they will have a higher impact. Obviously, generalized, canned answers are much less likely to be satisfying. Multimedia capabilities — chatbots can answer questions in a variety of ways, including with a voice, with text and in some cases, it can recommend a video. Continuous operation — chatbots operate 24/7, which is critical in a global recruiting environment. They do things that recruiters can’t — there is simply no viable and affordable human alternative to a Q & A chatbot. Obviously, it would be too expensive to have enough human recruiters on board 24/7 to answer live recruiting questions. Fortunately, chatbots can have the capability to understand and respond to questions in different languages. And at a global firm that receives questions in multiple languages, you couldn’t afford enough multilingual recruiters to match a chatbots capability. If the Q&A chatbot reaches its limits, you can have the capability of linking the potential applicant directly with a live recruiter. They free up recruiter time — having a chatbot that provides hundreds of answers a day means that recruiters don’t have to write up answers or take as many phone calls from potential applicants. As a result, chatbots free up valuable recruiter time to do more important tasks. 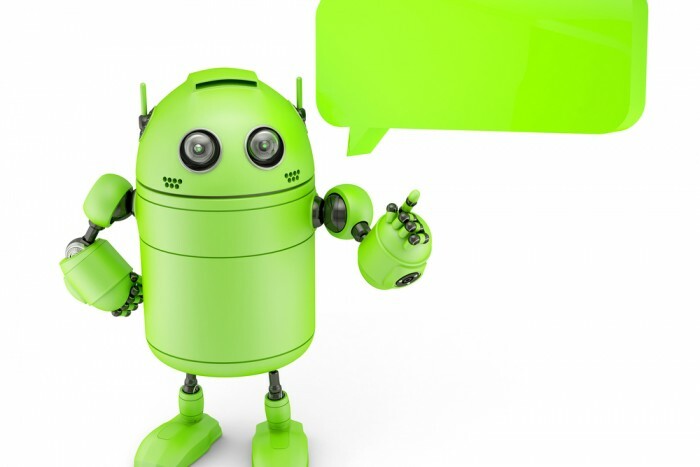 Mobile accessible — Q&A chatbots can be accessed by anyone with a mobile phone. You don’t need to be a technology expert — you can lease some chatbots on a monthly basis from a vendor, who will also maintain them and show you how to train them. Your total cost is likely to be less than half the cost of a single recruiter. You don’t have to reveal that it’s a machine — it’s generally not necessary, but you have the option of revealing to the potential applicant the fact that they are talking to a machine. And if you’re trying to attract techies, this innovative use of technology might actually impress them. Corporations have in the past made some basic attempts to provide answers with limited success. The most frequently used approach is when the corporate web or social media sites provide a written list of “frequently asked questions with answers; however, those answers are generic, and they obviously can’t be personalized to a particular job. A few corporate websites have actually answered questions using a live recruiter or a live chat room during regular working hours, but this approach is extremely expensive and it can only operate during limited hours. Other recruiting functions provide “delayed answers” a day or so later when an available recruiter has time to answer. Most would agree that all of these three options are inferior to having a Q&A chatbot. And the fourth option of letting individuals search and seek out answers to their questions on their own almost always leads to frustration, even on the best designed corporate web or social media sites. It’s also worth noting that chatbots have had a few problems. Microsoft did have some issues with chatbot manipulation by users, but that involved a chatbot that provided a much broader range of answers. Even Sgt. Star had one controversy when an individual asked it a Freedom Of Information Act question, which was outside of its range of acceptable topics. With so few issues, recruiting Q&A chatbots are a low-risk option. It’s time for the corporate world to learn a valuable lesson from the U.S. Army, one of the top five strongest recruiting functions on the planet. And that is that Q&A chatbots proved over a decade that they can successfully and inexpensively answer literally thousands of conversational questions a week. And any corporation that matched the Sgt. Star Q&A chatbot capability of the Army, I estimate could reduce their potential applicant drop-off rate by as much as 50 percent. Currently, more generic chatbots can be found on Facebook and CNN. And in recruiting, yes, eventually chatbots will be used for interviewing, recruiter training, reference checking, and initial sourcing. But the focus of this article is narrow, on whether they can successfully answer job-related questions from potential applicants. And in this limited area, they are ready for usage today, because they can clearly increase your recruiting capabilities beyond what any group of human recruiters can do. And because the costs can be relatively low, and the benefits are numerous, this investment is guaranteed to result in an extremely high ROI. And in addition, it has a “WOW factor” that might help build your employer brand.